Welcome! You have found a web site full of useful and entertaining information about radio-controlled cross-country soaring. Here we discuss all aspects of the sport in detail, list accomplishments, maintain a calendar of events, and present photos. Greg Norsworthy has detailed construction of a competitive cross-country racing glider in his RCGroups thread. Greg has considerable experience in building and flying cross-country gliders. In this thread, he describes building his eighth plane. The glider’s most immediate and striking feature is its simplicity: it is a polyhedral design controlled by rudder and elevator only! No ailerons, no flaps, no spoilers. The model is the result of a thorough thought process about just what is needed to compete successfully in a cross-country contest. Do not be fooled by this simplicity: one of Greg’s gliders holds the current course speed record in Montague! Greg’s write-up is a great resource for all who want to build their own cross-country glider. But even those who prefer to buy an ARF will benefit from studying this thread. Greg meticulously exposes and explains not just building and design details, but also how to set-up a glider to assure it flies hands-off. This is very important at altitude, when all the pilot sees from the ground is a speck. ALOFT Unofficially beats FAI Goal-and-Return World Record! 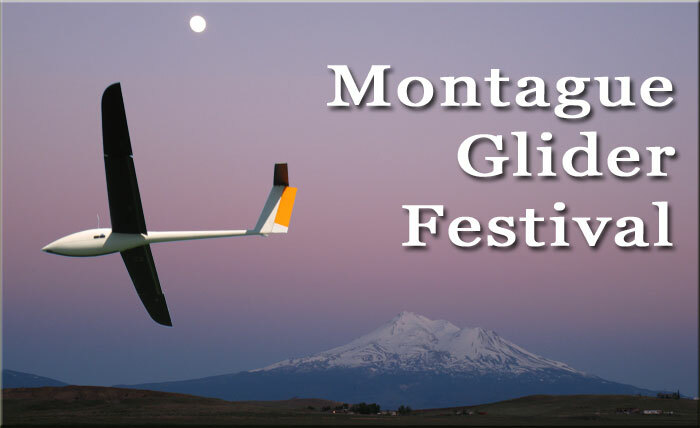 On October 5th, 2008, the ALOFT autonomous soaring glider completed a goal-and-return flight of 30.2mi (60.4mi round trip), which is farther than the world-record of 24.3mi set in 2005 by Gary Fogel. Also, we achieved a personal best-duration record of 4.5hr air-time, 98% of which was controlled by autopilot. During the flight, ALOFT traveled 114.14km (70.9mi) miles, simultaneously qualifying the team for a 100km distance pin from xcsoaring.com. Twenty years ago, Joe Wurts set the cross-country RC-soaring record, which still stands today. He wrote a report about it way back then, it is still relevant today, and we are happy to post it in the hopes of inspiring others to make their own record attempts. Dan Edwards has updated his testing paper Performance Testing of RNR’s SBXC Using a Piccolo Autopilot on March 2008. The paper discusses actual flight performance of the popular SBXC cross-country glider. Dan is a graduate student at North Carolina State University and has a website about his autonomous soaring research. The venerable SBXC and Super-XC are popular gliders for cross-country soaring. This downloadable PDF document describes the step-by-step assembly with many photos and detailed descriptions. The popular cross-country gliders SBXC and MXC are molded performance planes. Slop is a problem, especially in high-performance gliders. At best, slop makes flying more difficult; and at worst, it can lead to flutter which in turn may cause air frame failure. The SBXC and MXC are commercially available all-molded gliders designed specifically for cross-country competition. Their design yields high performance while also providing the stability needed to pilot them from a moving car. John Ellias and Dan Edwards have tested actual flight performance of the popular SBXC cross-country glider. John used an on-board GPS unit to arrive at a sink polar for the glider. Dan expanded on John's data using an auto pilot. How to design and run a cross-country soaring event. Course, tasks, base and rules are aspects to consider.